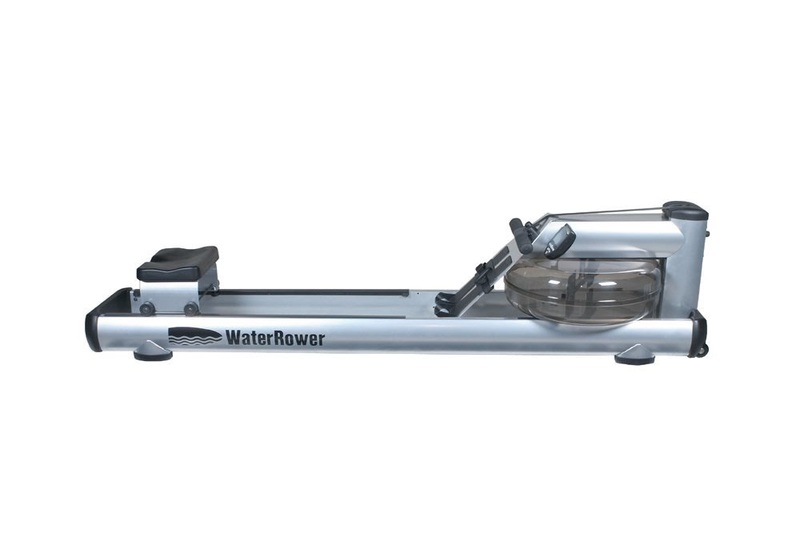 Health and Fitness Den: Comparing WaterRower S1 versus WaterRower M1 Commercial Rowing Machines, What's the Difference? 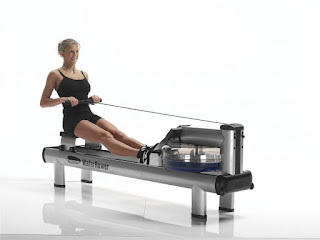 Built with sleek modern steel frames instead of WaterRower’s traditional wooden frames, the WaterRower S1 and M1 are built to withstand intensive use and are ideal for commercial gym settings as well as home use. The WaterRower S1 and WaterRower M1 offer the same functionality as WaterRower’s renowned wood-built machines, with their unique “water flywheel” that simulates the feel of real water rowing for an authentic workout. Resistance on the WaterRowers is self-regulated, working on the premise that the faster you paddle, the more you increase the drag/resistance. 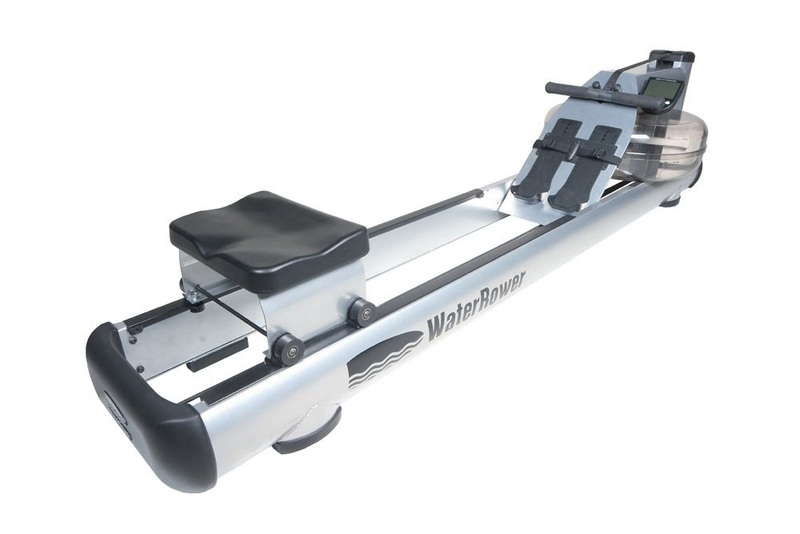 The WaterRower M1 is available in 2 different models with either a standard (M1 LoRise) or elevated seated position (M1 HiRise) whereas the S1 is only available in the standard low position. 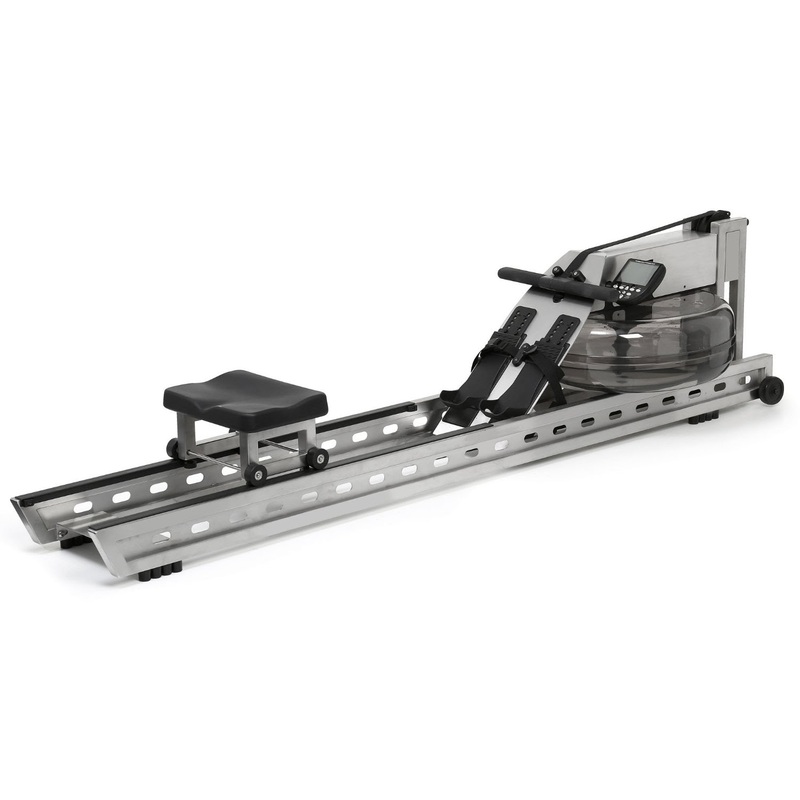 The seat on each of these WaterRower models sits on dual rails with 4 corner wheels for added stability. Look closely at the pictures of the WaterRower S1 and M1 and you’ll see that there’s a difference in the style of the frame design, with the S1 having a brushed stainless steel construction and the M1 having a coated tubular steel frame design. There’s a slight difference in the overall weight between each of these rowing machines, with the S1 being the lightest (approx. 125 lbs with water), the M1 HiRise being the heaviest (approx. 157 lbs with water) and the M1 LoRise weighing somewhere in-between the other 2 (at around 148 lbs with water). 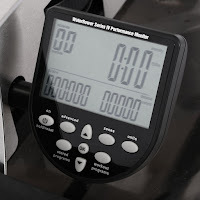 The WaterRower S1 and M1 models all require very little maintenance thanks to their professional quality design. The “water flywheel” consists of 2 paddles that sit in an enclosed water tank so there’s no build-up of dust. There’s no oiling required either thanks to the WaterRower’s smooth nylon strapping (no chain!) and pulley-free bungee cord. 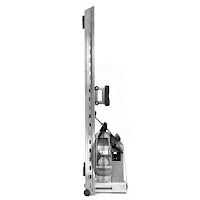 The steel frame is rust-resistant and easy to keep clean. 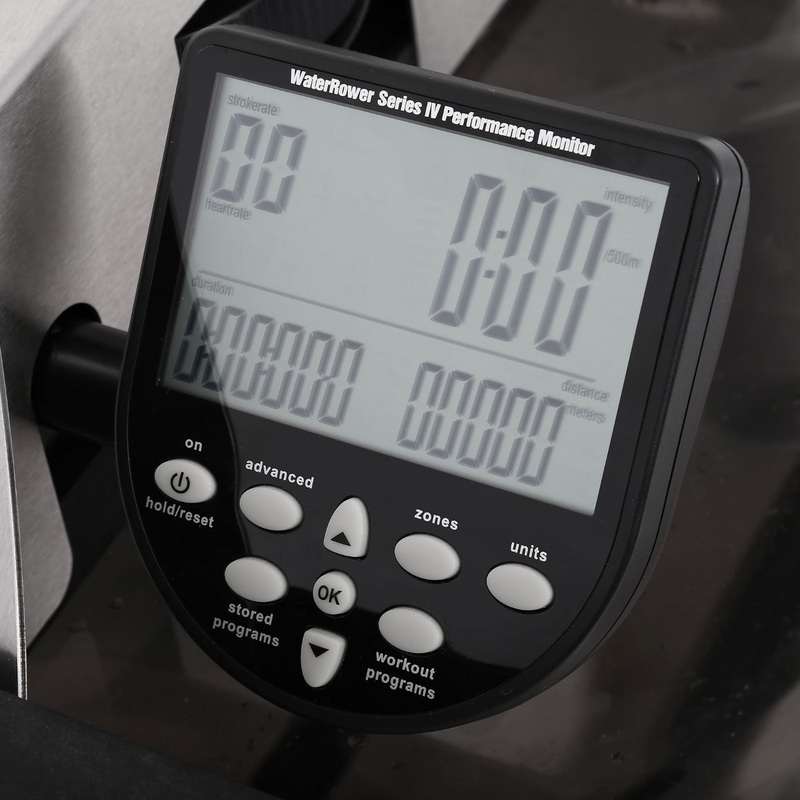 The WaterRower S1 and M1 models are sturdily built, offering a user weight capacity of up to 1,000 lbs. All of these WaterRowers come with a Series 4 Performance Monitor with quick selection buttons and navigations buttons and displays your workout stats over 6 information and program windows. Workout stats displayed include: stroke rate, intensity, duration, distance, zone bar, and heart-rate (compatible with optional heart-rate chest strap/receiver). The WaterRower S1 and M1 rowing machines can all be stored upright to save space when not in use.